The internet is full of rabbit holes that give people access to information with unprecedented ease. It’s only appropriate that podcasting, as a medium that has flourished with the help of the web, contains that same amount of cavernous discovery. Plus, unlike in television — another episodic form of entertainment — many podcasts don’t take seasonal breaks. This means shows can have archives that would baffle those uninitiated to the prolific nature of audio producers. Marc Maron of WTF and Chris Hardwick of The Nerdist Podcast each just passed the 900 episode mark (though with Hardwick rebranding his show as Id10t, perhaps the count starts over?). Shows rooted in public radio like This American Life (600+ shows) and Planet Money (800+) have staggering episode counts while maintaining extensive production and reportage. The flagship show of the Radiotopia network, 99% Invisible, broke 300 episodes this year, and Slate’s Culture Gabfest hit episode 500 this spring. 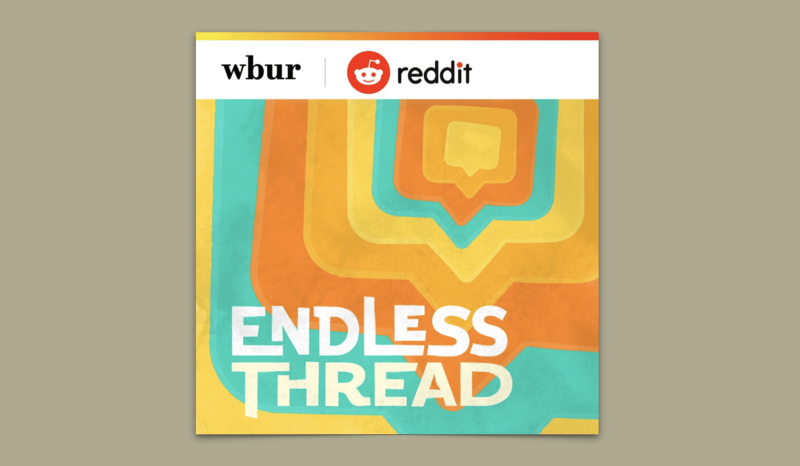 All that to say, Endless Thread is a pretty good name for a podcast covering stories inspired by the ever-expanding halls of Reddit. The formula of the show is simple: take a post from a Reddit user, or “redditor,” and unearth that person’s complexities to spin a compelling story. It’s perfect podcast fodder, revealing a broader picture of the internet personas that can be tempting to shove into vague containers of anonymity. And well-known subreddits provide ready-made segmentation to theme episodes around, enticing potential users to explore Reddit through an aural lens. So, while the podcast doesn’t exactly attempt to stand in as a substitute for hopping from thread to thread on the site itself, the question is still worth asking: does the Endless Thread treatment do justice to the greater Reddit community? Some episodes work to tell stories that reveal themselves over extended periods of investigation and interviews. Others are content to revel in the zaniness of an episode’s given subject matter with a respectable amount of contextualizing. This second type of episode is where the collaborative wheels start to show a little, revealing an inevitable tension: will the show maintain its journalistic integrity while still appeasing the Reddit overlords? It makes sense that Reddit would seek to shield its reputation from any fallout that could accompany an interview with a disgruntled user. So far the strategy seems to be to avoid digging too deep, or perhaps carefully screening the interviewees to guide the shape of each story. This probably happens to some extent with even the most ethical journalism, but Endless Thread does have a propensity to feel a little toothless as a result. Admittedly, this is less of a problem since the show has positioned itself at a human-interest angle as opposed to being a news source. But if the podcast were to take on, say, the nature of accommodating the alt-right on the platform, I would be wary about the extent to which Endless Thread would offer comprehensive reportage. This lack of depth is most evident when compared to the “10 Minutes On Craigslist” segments that sporadically pop up on Reply All. This semi-regular fixture on the popular Gimlet podcast captures the whimsy of hearing a story from a random stranger in half the time it takes Endless Thread to gather around a theme — and it’s not afraid to ruffle feathers. So, what are the conditions that govern the editorial direction of Endless Thread? Boston’s WBUR serves as the show’s producing partner, but the specifics of the ties between the station and Reddit are not made abundantly clear in-episode. Current probed and found that it was WBUR that initiated talks about producing the podcast. Corey Lewis, WBUR’s station manager, stated that the two parties “are partners [on Endless Thread] in every sense: editorially, financially and promotionally.” Whatever the nature of the agreement, there is a subtle whiff of product placement, as each episode is based on a story that, theoretically, couldn’t have happened without a Reddit post. Hosts will also occasionally say things like “What is karma?” to then offer up explanations that orient listeners using Reddit-specific vocabulary. Despite this potential baggage, the on-mic leadership does a good job. The hosts, Ben Brock Johnson and Amory Sivertson, have delightful chemistry, and in the context of public media they could almost be described as feisty. But within the comparatively crass spectrum of unfiltered podcasting — and compared to the irreverence typically found among podcasters talking about the internet (Internet Explorer, Reply All) — their tone is still highly professional. Any cattiness and vulgarity that pops up is PG-rated and trends on the side of playful. This jovial tone mirrors Planet Money, which makes sense since Johnson is a former host of Marketplace Tech and Codebreaker. But this doesn’t mean the show isn’t fun. Johnson and Sivertson convey a genuine joy in exploring the lives of others, and that excitement makes it pretty easy to ignore the shortcomings. On some level, Endless Thread’s decisions on style and content do make sense. The show is not, after all, strictly about the internet. Instead, Endless Thread intends to reflect just how ubiquitous the web is in our lives to show how Reddit acts as a kind of user interface for the human experience. The stories feature truly compelling people whose accomplishments run from quirky to remarkable. This premise that the world never ceases to intrigue is one a public radio audience could certainly endorse. But still it should be said: If basking in earth’s ability to foster curiosity comes at the cost of ignoring some of life’s more sinister and confounding aspects, the conversation risks skipping along the surface without ever confronting the complexities inherent to stories that are really worth telling. Previous PostWhere Are We Headed with Fiction Podcasts?